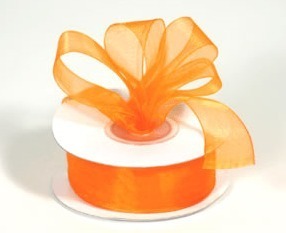 Autumn Orange luxury ribbon available in both organza and satin. Most of our Wedding Stationery Items and Wedding Invitations can be ordered with this ribbon colour. Colours available in both organza and satin. If your colour isn’t featured below we can usually order it for you. Alternatively if you prefer to source your own ribbon we can print the invitations so you are able to add your own.